What a treat to give and receive this beautiful token of Aloha to let your friends know that you are thinking of them. 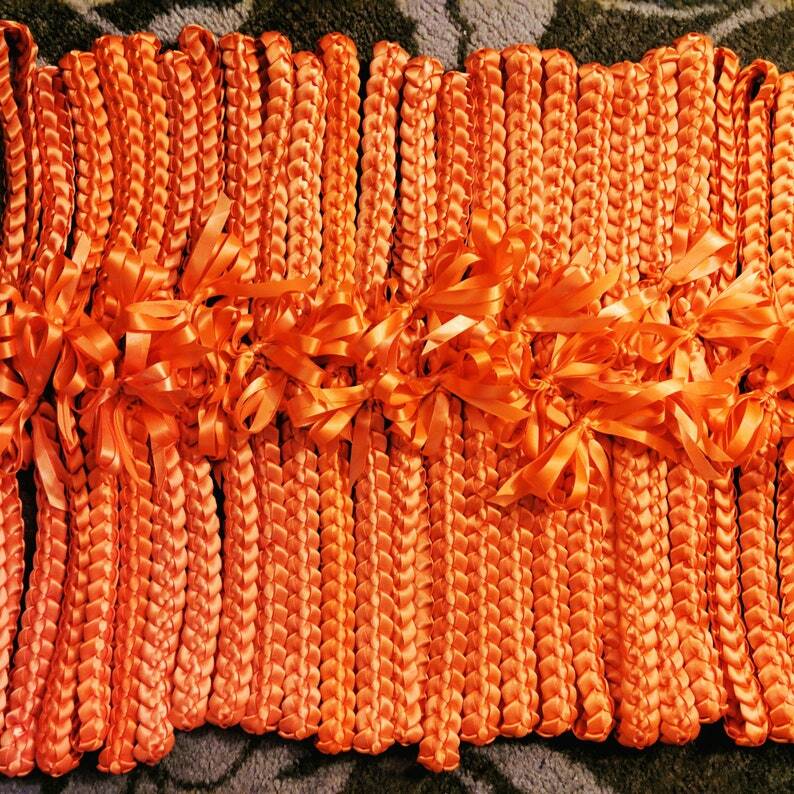 This listing is for 12 single braid lei (must be all the same color choice) uses over 20 yards of 3/8" satin ribbon, grosgrain can also be used if requested. We create this using two colors to represent your school or other theme, or use 1 color because it's your favorite. 3 or 4 colors just for fun...just let me know through the special notes. We make these to order and may take 1 - 2 weeks + shipping time. 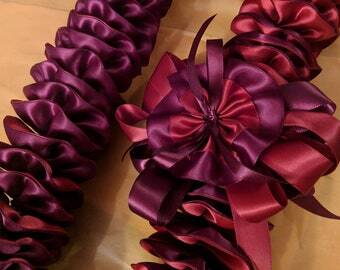 Please note that during April - June, creating and shipping your leis may be an additional 1 week.